http://trkravtin.booklikes.com A Rep Reading 4.0 Bears! Bears! Bears! From the description: "budding ursinologists"!! Love it! Surely there are bears in the book that you've never heard of, there were for me! 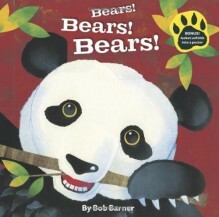 Which makes this book stand out from all the other bear books out there. Recommended.